If limitations from your on the job injury prevent you from working, you are entitled to temporary total disability benefits (TTD) or time-loss benefits. These benefits are non-taxable and equal 2/3 of your average weekly wage. If your condition prevents you from working, you must get an off-work slip from your attending physician every thirty days. If limitations from your on-the-job injury prevent you from performing your ‘regular work’ (the work you were performing before your injury), but your attending physician has released you to modified work (light duty), you are entitled to full time-loss benefits until your employer places you in a modified duty position. At that time, you become entitled to temporary partial disability benefits (TPD). If, when you return to modified work, you make wages equal to or in excess of your average weekly wage, you are not entitled to additional compensation from the insurer. If, when you return to modified work, you make wages less than your average weekly wage, you are entitled to additional compensation from the insurer; this compensation is known as TPD benefits. You are eligible for the Preferred Worker Program if at the time your claim closes you are unable to return to your job-at-injury due to injury-related permanent impairment. If eligible, you should apply for preferred worker status. If accepted, you will then receive a preferred worker card. As a preferred worker, you can receive state-paid reimbursement (up to a certain amount) for purchases necessary to find, accept, or retain employment in Oregon. Examples of such purchases include tools & equipment required for employment, moving expenses, and uniform costs. You may be eligible for vocational assistance if at the time your claim closes you are unable to return to your job-at-injury due to injury-related permanent impairment. 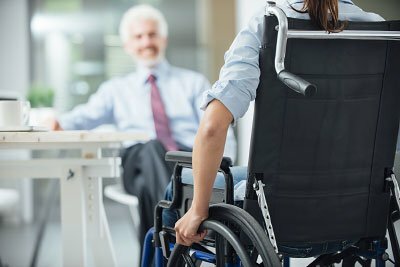 You will not be entitled to vocational assistance unless you cannot return to work at any occupation that pays at least 80 percent of your wage at time of injury. Getting through vocational eligibility evaluations can sometimes be difficult, and you should feel free to consult with us about that prior to having a conversation with the vocational expert. Insurers are obligated to refer you for vocational evaluation within 120 days after it becomes clear that you are not going to return to your regular employment. Many times they do not, and here at Moore & Jensen, we would be happy to help you make that demand in a timely manner. If you are found eligible for vocational assistance, then the insurance company will pay for no more than 16 months of schooling. People very rarely get 16 months of school, primarily because schools don’t generally run on one year and four month increments. It is possible to get up to 21 months of vocational assistance, but it takes a very exceptional disability in order to do that. The insurer will pay you your full time loss benefits while you are in school, and if you are in an on-the-job training program, you will either receive time loss benefits from the insurer, or wages from the employer training you. Moore & Jensen can help you determine, early on, if you are likely to be entitled to vocational assistance. CONTACT US NOW!